The answer lies in atmospheric blocking, leading to a more amplified and less progressive jet stream. You may hear terms such as the NAO (North Atlantic Oscillation), or Greenland Block, or even PNA (Pacific North American Index). They each play a role in the global-scale weather pattern, which can create impacts locally as well. Earlier in the season, the above global oscillations were not in phases which favored frequent or slow-moving coastal storms. In fact, February saw these index values flipped in the opposite direction (or warm phases), leading to exceedingly mild conditions for what should have been the heart of the cold season. Though it does not always work out perfectly, a Greenland Block or negative NAO along with a positive / neutral PNA typically work out to cold and stormy weather in the east. In January and February of this year, the NAO index was largely positive the entire time, matched up with a neutral PNA, resulting in a more progressive jet stream and a less favorable set-up for coastal storms. Outside of a brief cold and snowy period to start the year - where we were PNA-positive and NAO-neutral, most of late January and into February was mild under a progressive pattern that kept it largely snowless. This changed rapidly though into the month of March. As March began, a switch was flipped, and what was a long run of a positive or neutral NAO turned negative sharply toward the end of February and beginning of March. 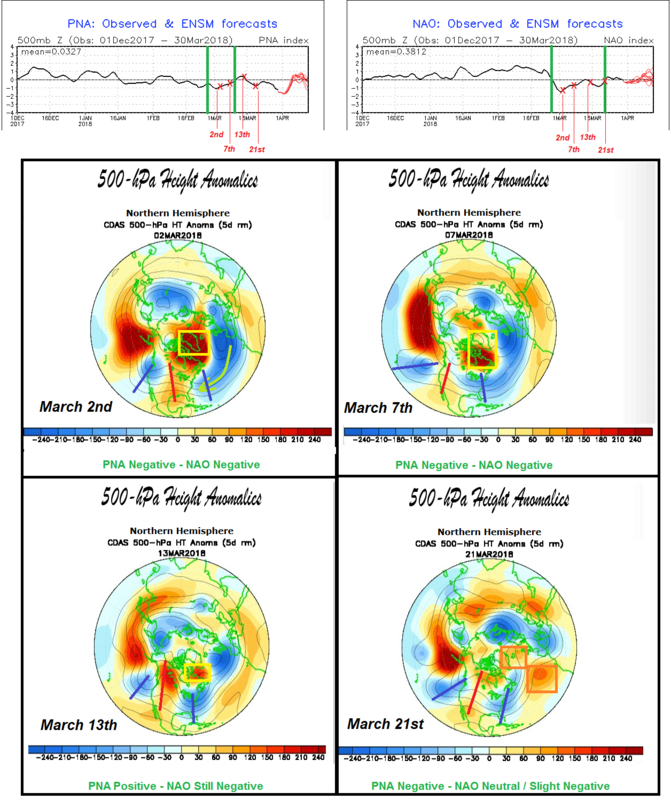 The ridging over the eastern United States and trough over the West broke down as a blocking high set up and strengthened over Greenland, a classic indication of a –NAO. It set the stage for Nor’easter number one on March 2nd. It was a truly remarkable storm, due to the fact that a ridge was in place over the east at the time of the storm’s development, which is not normally ideal for wintry weather. However, cold air advancing in from the Northern Atlantic via a polar airmass originating over Europe was able to be transported (courtesy of the strong blocking pattern), meeting up with the storm just in time to produce significant snows in the interior Northeast. It also resulted in significant wind damage and coastal flooding along the shores of New England. The block, in various forms, then held in place thereafter, resulting in a virtuoso Murphy’s Law of weather for the rest of the month; meaning, if a storm could happen, it would happen. 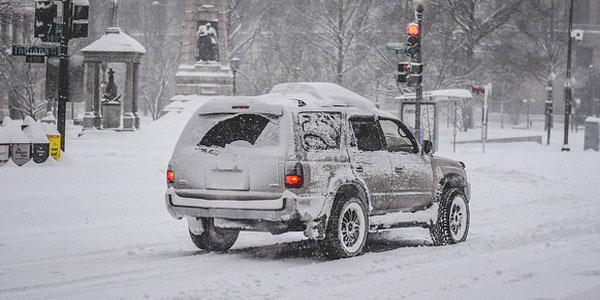 Three more events followed and brought additional snowfall to the area, with a pace at about one per week. The dates that followed were March 7th, 13th and 21st, all clocking in as significant Nor’easters. Such activity resulted in some impressive snowfall totals to round out the month. Islip, NY was able to collect record snowfall, with a grand total of 31.9” of snow smashing the prior high mark of 23.3” set in 1967.